- The FARMKING TERRACER BLADE/LAND LEVELLER is used for clearing fields, land levelling, opening ditches & back filings. We are successfully meeting the varied requirements of our clients by providing the best quality range of Laser Land Leveler. Based on advanced technology, our PTS Laser Land Levelers are one of its kinds. 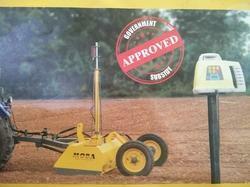 We are a trusted Manufacturer, Supplier and Exporter of PTS Laser Land Levelers from Haryana. Description : This Leveller is operated with the help of a laser transmitter and receiver resulting in accurate and evenly levelled surface. The evenly surfaced land results in reduction in consumption of water, seeds, fertilizers etc., provides a more uniform moisture environment resulting in better crop establishment. It is also less time consuming. 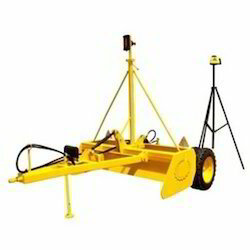 Laser land leveler is mostly used in levelling the field. manufacturers of quality laser land levellers and agricultural reapers.